Identity is a crucial and wide-ranging concept and area in childhood and youth studies. Conceptual perspectives on identity differ across a range of disciplinary perspectives such as psychology and sociology. This chapter provides an overview of the current debates in regard to identity including differences between psychological and sociological approaches to conceptualizing identity. It discusses poststructural theories of power and subjectivity that are important in more recent sociological discussions of identity. Poststructural theorists understand identity (subjectivity) as socially constructed and processual, highlighting social factors, rather than individual traits as important to identity formation. The concept of identity is also discussed in relation to “identity politics,” with a focus on the tension between perspectives which argue the importance of identifying the way in which inequalities result from power and difference and those that are concerned that identification based on such categories can make differences appear “essential” or fixed. 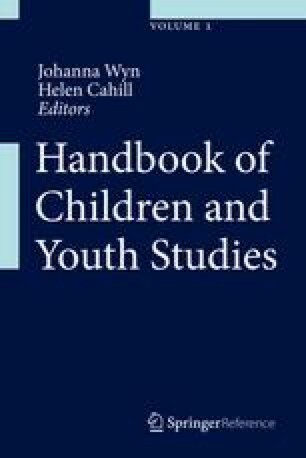 Finally, the chapter discusses the way in which the constructs of social class, family, and inequalities can be used to inform approaches to understanding identity when working with children and young people.